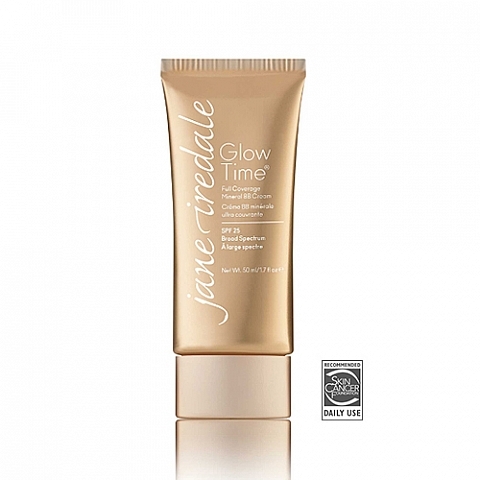 jane iredale Glow Time Mineral BB Cream is a full coverage liquid foundation with broad-spectrum UVA & UVB SPF 25 sun protection. Available in 8 beautiful shades (choose option to view or see “Description Menu” below). Glow Time Mineral BB Cream covers blemishes, minimizes pores, disguises wrinkles and smoothes and brightens skin. All Glow Time Mineral BB Cream options are wheat-free and vegan. A full coverage liquid foundation with broad-spectrum UVA & UVB SPF 25 sun protection. Provides a glow to the skin. Suitable for all skin types and will help to minimize pores and disguise fine lines and wrinkles. Works great as a concealer on spots/scars and under the eyes. Is worn best when over Smooth Affair Primer or Smooth Affair for Oily Skin. Available in 8 beautiful shades. 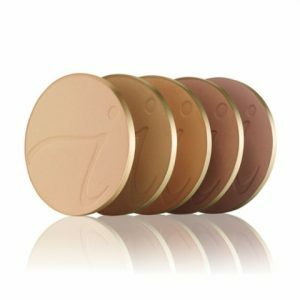 Applied best with the jane iredale Foundation Brush, jane iredale Flocked Sponge, Beauty Blender Makeup Sponge, or fingers. 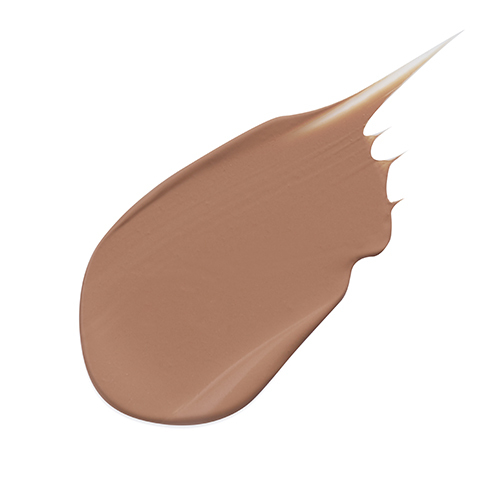 If you have an oily complexion or prefer a matte look we recommend applying Smooth Affair Primer for Oily Skin underneath your Glow Time and/or using HD Matte Powder overtop to minimize the shine. Grapefruit extract helps to minimize the appearance of pores and wrinkles. Apple extract helps to exfoliate the skin. Titanium dioxide, which is a physical sun block and helps calm inflammation and soothe the skin.